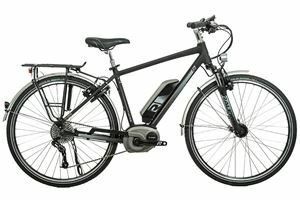 The new generation 2 BOSCH Active Line system sees smoother acceleration whilst shifting gear to create the perfect combination of mechanical and electrical pedelec technology, up to an amazing 190km range from Eco mode, and a super low profile and exceptionally quiet middle motor. Braking is covered by the tried and tested Magura HS11 hydraulic rim brakes, all the power without the extra weight of discs, whilst Scwhalbes ebike specific Energizer tyres keep your wheels firmly planted to the road. A true piece of powered cycling excellence.